Let’s take a look at a few different tips you should use to improve your professional relationships to get a new job. When you think about your professional network, you’re probably thinking primarily of past bosses, managers or coworkers. While this is a great place to start, they aren’t the only people you need to think of. Everyone you know — whether personally or professionally — can be someone you may want to connect with. Are you thinking about family members or friends of friends as people who may be able to help you with your job search? If not, don’t overlook them. In addition to your extended network, you never know who they may be willing to introduce you to. With these additional connections, you can get to know some incredibly important people in companies you’d love to work for. Think about people from past jobs, friends or family members, as well as peers from high school or college. 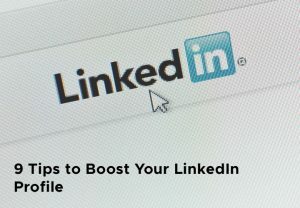 Additionally, even connections you have on social media or mutual friends can be a great way to get started finding a new job. Don’t rule out a connection just because it doesn’t stem from a perfectly professional relationship. Once you have an idea of the kinds of people you may be able to connect with, you need to know what you’re looking for. When you ultimately reach out to members of your network, you don’t want to ask for just any job. You need to know exactly what you’re qualified for, why you’re a good fit and how that person can help you achieve your goals. Take a moment to consider what the best outcome for your connections would be. Whether you’re looking for an internship or just an introduction to a hiring manager, knowing your expectations beforehand can save you from some uncomfortable conversations. 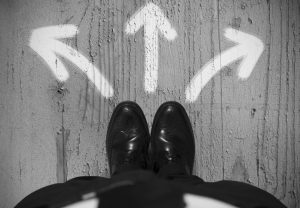 Being clear about what you’re looking for ahead of time can also show you’re thinking seriously about your career change. You may have different needs depending on who you’re reaching out to. If you’re going to connect with the CEO of a company, you may have an easier time asking for an interview. However, if your connection is lower down the totem pole, you probably will need to ask for something a bit smaller, such as an introduction. Make sure your requests are reasonable based on the individual in your network. If you’re going to use your network to get a new job, you should start where it makes the most sense. Before you reach out to someone you only moderately know, connect with the people who already know you well. Your professional references are a great place to start. Because your references have already agreed to talk you up if you’re ever in need, they already know your skills well. They believe you’re capable and want to help you succeed. This means they’ll be more motivated to help you find the job of your dreams if they are able. Even if they cannot directly help you find a new job, they may be able to introduce you to others who can. Reach out to your references to let them know you’re looking for a new job. Let them know exactly the kind of job you’re looking for, what industry you’d like to be in and the location of the position you need. You’ll also want to double-check that they’re still willing to serve as your references, so let them know they may be contacted by a hiring manager. When you’re looking to get a new job through your network, you usually can’t just call someone up and ask them to hire you. If you ask for too much right off the bat, the individual you’re contacting may not be willing to help you out. Instead of acting like they owe you the assistance, focus on building a solid relationship with them. For the most part, people like to help others. However, it can be a major turn-off if it feels like you’re expecting something to be handed to you. If you approach your network with a genuine question and respectfully ask for help or advice, they are more likely to help you out. You’ll want to consider the relationship you have with the individual before you reach out. While it’s OK to connect with individuals you don’t know well, you may need to focus some more time establishing a connection before you ask them for professional assistance. If you’re going to reach out to someone you only met once or twice, a simple question or request for advice is the way to go. On the other hand, someone you’ve known personally for many years may be willing to pass along an email address or phone number of a hiring manager at their company. At this point, you should already know what you’re looking for out of your connection. As we mentioned before, you don’t want to just ask for a job or for help getting a new job. After all, your network is probably pretty busy. They don’t have time to create the necessary connections for you. Instead of simply letting your network know you’re on the hunt for a new job, you want to ask them for specific advice. Whether that’s help applying to a position or an introduction to someone important in their office, you want to show you’ve done your homework and you’re prepared to put in the work. 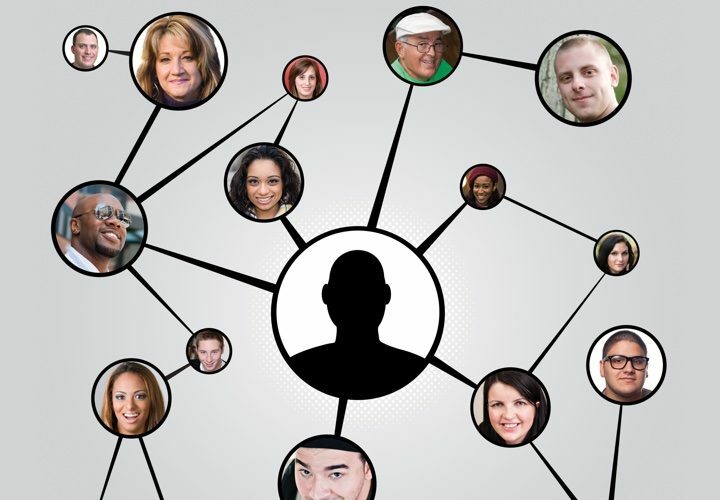 When you initially reach out to a member of your network, make it clear what you’re looking for. While you don’t need to jump right into the conversation letting them know you’re looking for help, also don’t expect them to understand that on their own. Be clear and direct, but still authentic and considerate, whenever you connect with a network member. Don’t make a habit of reaching out and never following up. If the individual doesn’t immediately reach back out, it may simply be because you caught them at a bad time or they didn’t see your message. While you may immediately want to write them off and assume they’re not willing to help, you don’t want to end the conversation there. Give them some time and then reach back out. Remember, the process of networking can take some time. If you expect your network to reach immediately help you find a job, you’re probably going to be disappointed. Instead, foster the relationship and do what you can to be accommodating. After all, you are asking them to take out time from their schedule to help you find a new job. Whether or not that individual can help you, you’ll want to maintain the relationship. Don’t immediately disappear if they say they don’t know what they can do for you. Instead, thank them for their time and let them know that you’re available if they ever need any help from you. Also, ask them kindly if they would be willing to think of you in the future if they hear of anything. Using your network can be one of the best ways to get a new job. However, you can’t expect your network to do all the work for you. While they may be able to help you get your foot in the door, they probably aren’t going to turn around and just give you a job. Consider these tips if you’re going to reach out to your network for a new position. Always remember you’re asking for their help, so be kind and accommodating — and don’t act like they owe it to you.